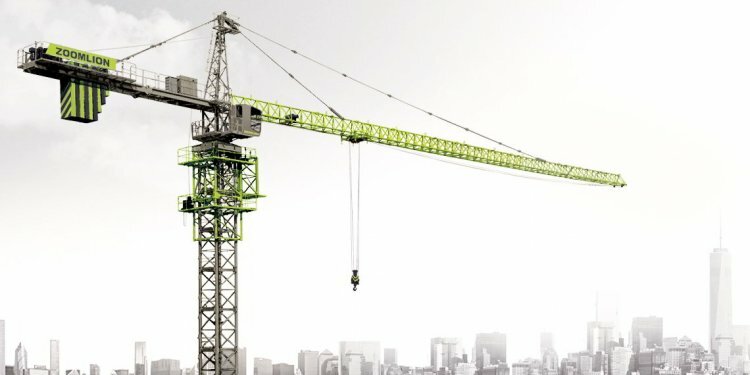 The most recognizable part of any crane is the boom. This is the steel arm of the crane that holds the load. Rising up from just behind the operator's cab, the boom is the essential piece of a crane, allowing the machine to raise loads to heights of several dozen feet. Mouseover the parts of the hydraulic crane for descriptions. Most hydraulic truck cranes have a boom that has several telescoping sections. For instance, a 70-ton Link-Belt hydraulic truck crane has a boom with three telescoping sections. This particular boom has a length of 127 feet (38.7 meters). Some booms are equipped with a jib, which is the lattice structure attached to the end of the boom. On the 70-ton hydraulic truck crane, the jib is 67 feet (20.4 meters) long, giving the crane a total length of 194 feet (59.1 meters). As the load is lifted, the sections telescope out to the desired height. Reinforced-steel cable lines run from a winch just behind the operator's cab, extending up and over the the boom and jib. Each line is capable of holding a maximum load of 14, 000 pounds (6, 350 kilograms). So, a 70-ton hydraulic truck can use up to 10 cable lines for a total of 140, 000 pounds (63, 503 kilograms), or 70 tons. The lines run up the boom and jib and attach to a 285-pound (129 kilograms) metal ball that keeps the lines pulled taut when no load is attached to the hook. To maneuver the load, the boom has to be able to move right and left, as well as up and down. Underneath the operator's cab is a Rotex gear on a turntable bearing that turns at 2 revolutions per minute (rpm). It is driven by a bidirectional, hydraulic motor mounted on the cab and housed in a metal cover to prevent injuries. The rotation is controlled by a foot-operated, hydraulic pedal in the cab. Hydraulic truck cranes are used to lift heavy loads to tall heights, and it's important that the truck be completely stable during the lifting operation. The tires don't offer the stability needed, so the truck employs outriggers that act as balances to keep the crane from leaning too much to one side or the other. The outriggers use hydraulics to lift the entire truck, tires and all, off the ground. The outriggers are comprised of the beam, which is the leg of the outrigger, and the pad, which is the foot. Sometimes, "floats" are placed under the pad to dissipate the force of the crane and the load over concrete or pavement. Floats are usually wood planks that are lined up to create a base that is larger than the pad itself. The outriggers are only one mechanism used to balance the crane during lifting operations. There are also detachable counterweights that can be placed on the back of the crane on the underside of the cab. These counterweights prevent the crane from tipping forward during operation. The amount of counterweight needed for a particular lift is determined by the weight of the load, the radius of the boom and the boom's angle during operation. The 70-ton Link-Belt truck crane has counterweights that come in 4, 000-pound (1, 814-kilogram) sections. Counterweights are only used during lifts; they have to be removed before the truck can be driven.